With a beautiful main street and downtown area of restored storefronts, enthusiastic shopkeepers and restaurateurs, downtown Owosso offers all of the amenities that create a wonderful shopping trip anytime of the year, but especially during Curwood Festival. 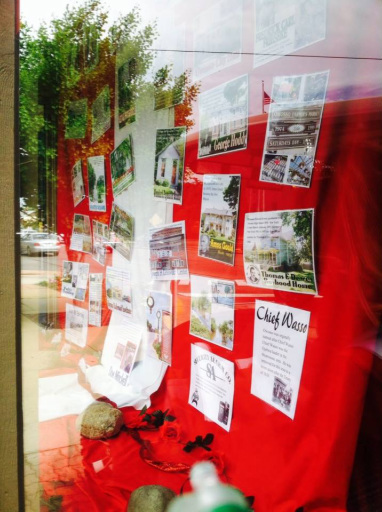 Now in its 5th year, the Curwood Window Display Contest was created to encourage downtown merchants to dress up their storefront windows to complement the Curwood Heritage Parade theme. This year the theme was “Celebrate Owosso.” There was no charge to enter.